Have you ever seen colors this rich in a low-maintenance siding? Your neighbors will think it's painted, rough-sawn cedar. Using the latest in color preservation technology, TimberCrest® Plus siding adds a whole range of darker colors to your spectrum of choices. Our unique LineLock<sup>®</sup> self-aligning locking system means a quick, easy secure installation. 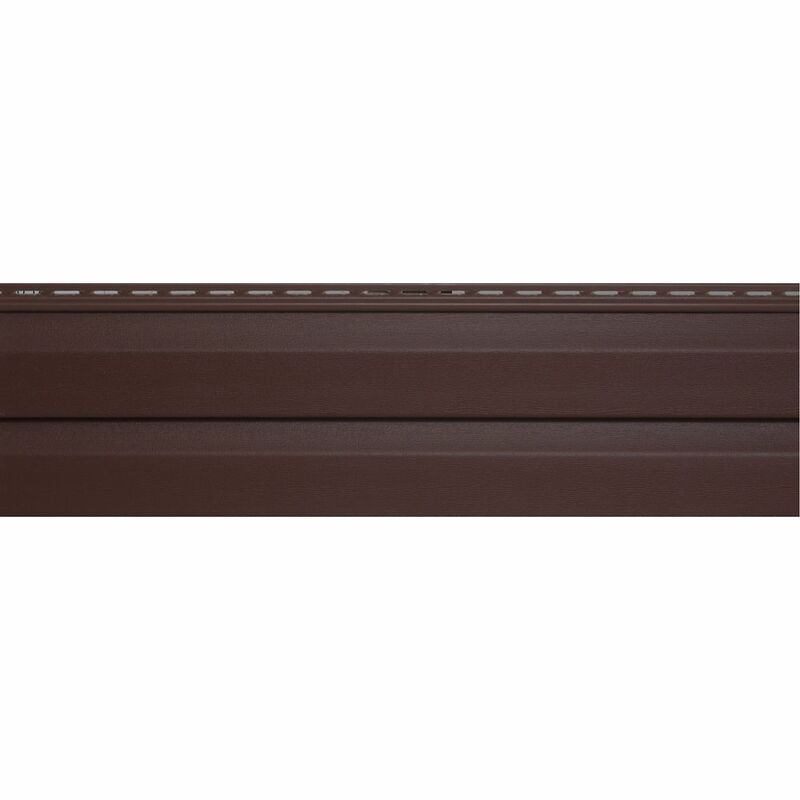 TimberCrest<sup>®</sup> Premium Plus siding's 3/4" profile height and double-thick nail hem provide enhanced rigidity and windload resistance up to 290 km. TimberCrest<sup>®</sup> Premium Plus siding is .046" thick, which means outstanding impact-resistance. Using our ColorFast<sup>®</sup> technology, non-reactive acrylic is fused to our premium vinyl compounds, providing fade resistance protection we warrant for 25 years. Using our ColorFast® technology, non-reactive acrylic is fused to our premium vinyl compounds, providing fade resistance protection we warrant for 25 years. Molded from real cedar planks, TimberCrest® Premium Plus siding has a low-gloss finish for the classic look of freshly painted wood. TimberCrest® Premium Plus siding is .046 inch thick, which means outstanding impact-resistance. TimberCrest® Premium Plus siding's 3/4 inch profile height and double-thick nail hem provide enhanced rigidity and windload resistance up to 290 km. The J-Channel is used for receiving siding along doors, windows, eaves and the edges of gables. The 3/4 inch Inside Corner Post (ISCP)is used at the Inside Corner Post (ISCP) of two adjoining walls and receives the siding on either side. The 3/4 inch outside corner post is a one piece unit that sits on the outside of the meeting point between two adjoining walls. It provides the channel to receive siding from each wall. TimberCrest Plus D4.5D Brick (22/BX Have you ever seen colors this rich in a low-maintenance siding? Your neighbors will think it's painted, rough-sawn cedar. Using the latest in color preservation technology, TimberCrest® Plus siding adds a whole range of darker colors to your spectrum of choices.